Last week the annual VMware vExpert awards were announced and given to 581 virtualization evangelists for 2013. This award is based on their passionate evangelism during calendar year 2012 (it’s an award, not a technical certification). I am honored to be one of them! Being awarded vExpert in 2013 is a huge honor (one that I am very thankful for). It has made a huge difference in my life and career as an IT professional by allowing me to distinguish myself, by giving me elite access to software and betas, and by challenging me each year to continue to evangelize the virtualization solutions I feel passionate about. For those who aren’t yet vExperts but feel passionate about virtualization, I encourage you to push yourself to become a vExpert. Find ways to promote VMware virtualization through your blog, social media, speaking, writing, video authoring, VMworld, or at your local VMUG. 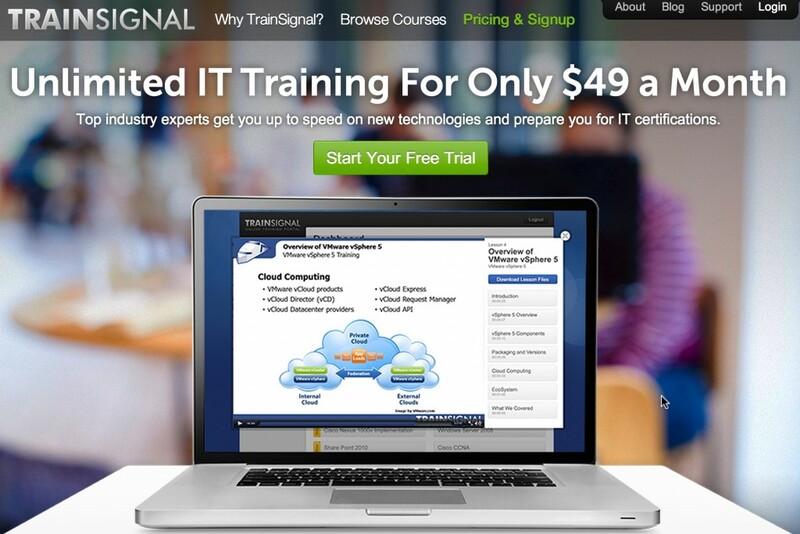 For those who are interested in the training package above but aren’t vExperts, you can use the same training free for 3 days and, if you like it, pay just $49 per month after that. Visit www.TrainSignal.com for the details.